That passage is very popular among believers and for good reason. Worrying is very easy to do and life definitely makes it hard not to stress. A lot of the time we want to rely on ourselves and not on God. We forget that God is always here and he is always good. But a part of that passage that is often overlooked is, “and the peace of God, which surpasses all comprehension, will guard your hearts and your minds in Christ Jesus.” This verse is saying that if we turn to God in prayer, He will give us his peace. That’s a promise. Paul’s epistles were inspired by God, just like the rest of The Bible. This is not just one man’s opinion. The past few months of my life have been some of the hardest I’ve ever gone through. I’ve cried, I’ve gotten upset, but you know what I haven’t done? I haven’t stopped praying. I haven’t stopped reading the Word. I haven’t stopped asking my husband to lay his hands on me and pray for healing through this dark time. So yes, it may be extremely hard. It may be awful. I may wish I was out of this time. However, I know God is here. I can feel His presence. God is always good. He will hold us, He will comfort us, He will walk with us through it. God doesn’t promise a great life. He doesn’t promise an easy life. He really doesn’t. He promises trials, He promises that people will hate us for our belief in him. But He promises that He will love us and walk us through it. 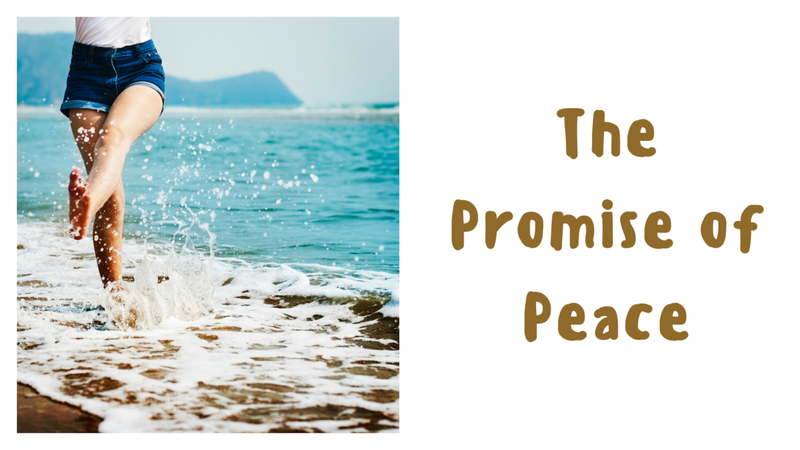 He promises peace.